Step 1) Relax…. 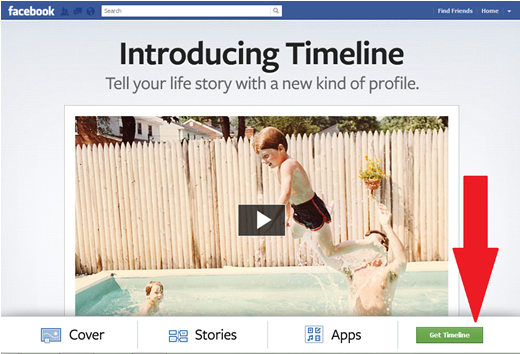 Timeline is the Official Facebook update. Everyone is getting it. 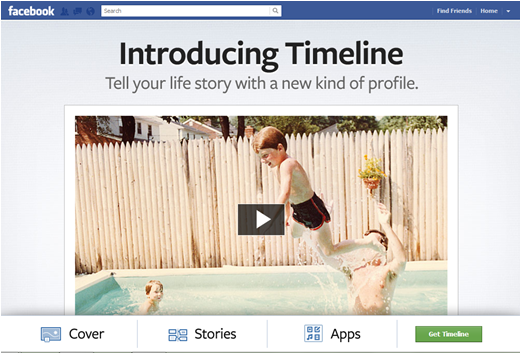 Step 3) Click the button, “Get Timeline” [if it does not say “Get Timeline” just be patient Facebook is slowly rolling it out to 800 million people. Last step! 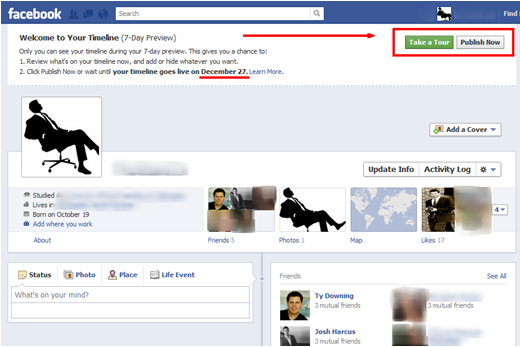 Go to this profile to make sure your’s is live! 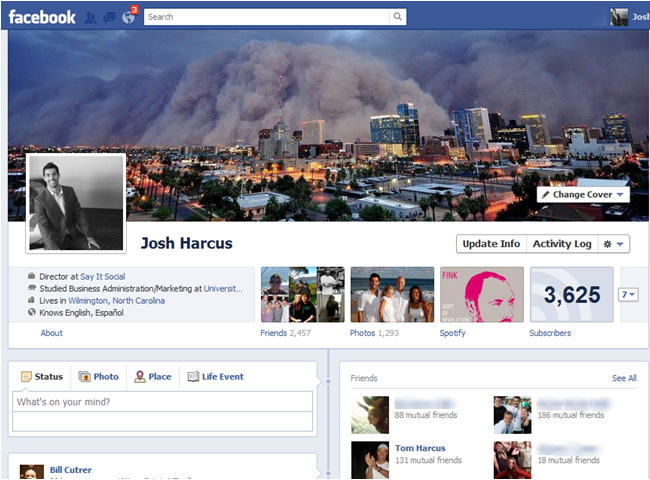 What do you think this will mean for Facebook Business pages?